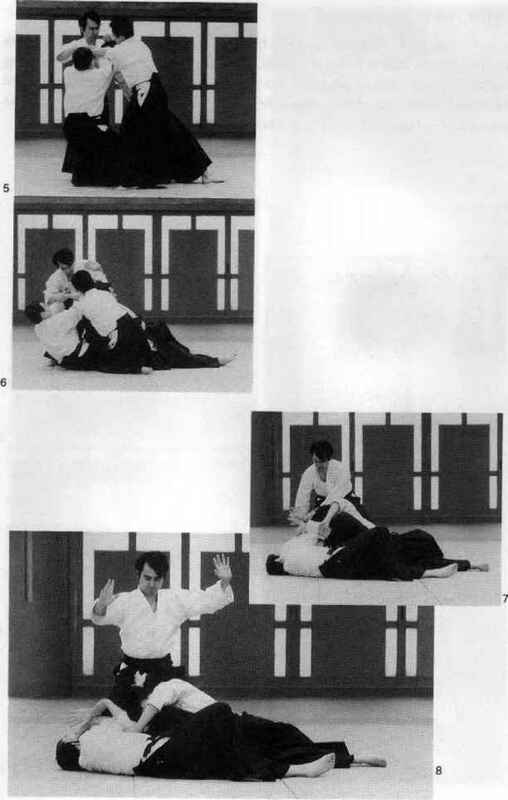 Uke 1 grabs tori's right arm, uke 2 grabs torts left arm, and uke 3 grabs ion's collar. 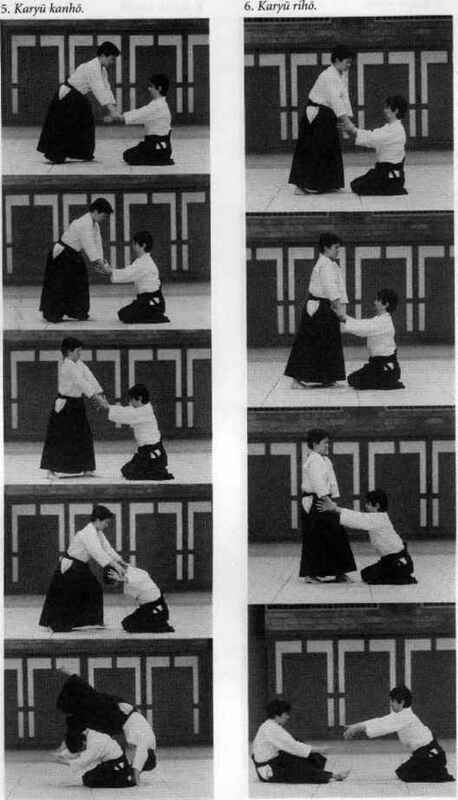 Tori raises both arms in aiki-age, applies the yonka-jd lock to the two uke holding his arms, and turns uke I to the right by raising that tike s right arm over his head. 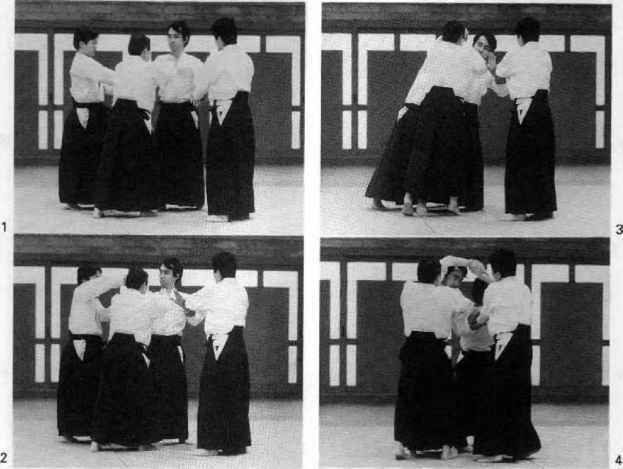 Tori crosses ail of their arms together and cuts downward diagonally to bring all three to the ground. Tori then pins their arms with his right knee to complete the technique.